(CBS News) At a previously scheduled hearing of a Senate Armed Services subcommittee on Tuesday, the Air Force was questioned about the F-22's oxygen deprivation problem and about pilots who came forward in the "60 Minutes" story that first exposed the issue on Sunday. The pilots said in interviews with "60 Minutes" that they have chosen to stop flying the F-22 because they say during some flights they and other pilots have experienced oxygen deprivation, disorientation, and worse. They are concerned about their safety in the air, as well as the long-term health consequences. They also expressed concerns about being punished for raising these concerns outside typical military channels. At the Senate hearing Tuesday, lawmakers learned that the top brass of the Air Force has issued a directive that the two pilots who appeared, Captain Josh Wilson and Major Jeremy Gordon, should not be retaliated against. This is significant because both men faced potential disciplinary action for choosing not to fly the jet over health concerns, and because proceedings have begun already against one of them, Captain Wilson. When Massachusetts Senator Scott Brown asked General Janet Wolfenbarger to confirm there would be no retaliation against the two pilots, Wolfenbarger said "absolutely" not. "There is clearly the whistleblower protection, the statute that protects those folks," Wolfenbarger elaborated, adding that she considered the two pilots whistleblowers. 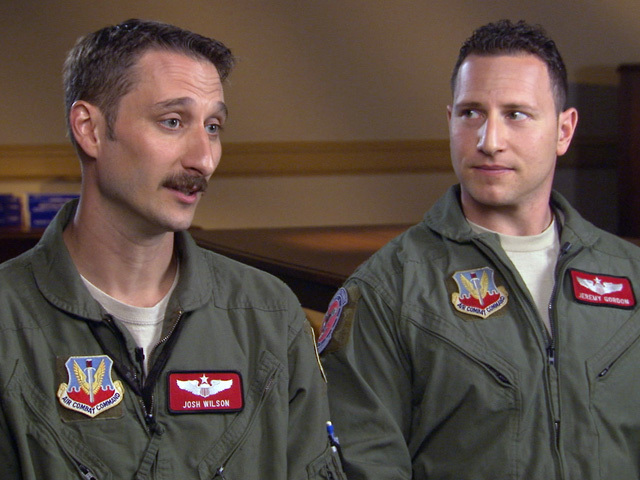 "Our chief and our secretary have made that understood in our Air Force." A lawyer for the pilots, Fredrick M. Morgan Jr., said in a statement he welcomed the general's assurances that no negative action would be taken against the men. "We were profoundly gratified to hear General Janet Wolfenbarger clearly confirm, in her testimony before the Senate Armed Services Committee this afternoon, what we have believed all along: That Major Gordon and Captain Wilson are fully protected from reprisal by the Military Whistleblower Protection Act," Morgan said. Morgan cautioned, however, that the pilots were not fully in the clear. "We now look forward to the prompt withdrawal of the Letter of Reprimand against Captain Wilson, the termination of the Flying Evaluation Board proceeding, the reinstatement of his job and his promotion to Major, and the return of these fine officers to the service of their Nation at the controls of the airplane they love," Morgan said. The two pilots have been invited back to Capitol Hill Thursday to meet Senator Mark Warner of Virginia, their home state.